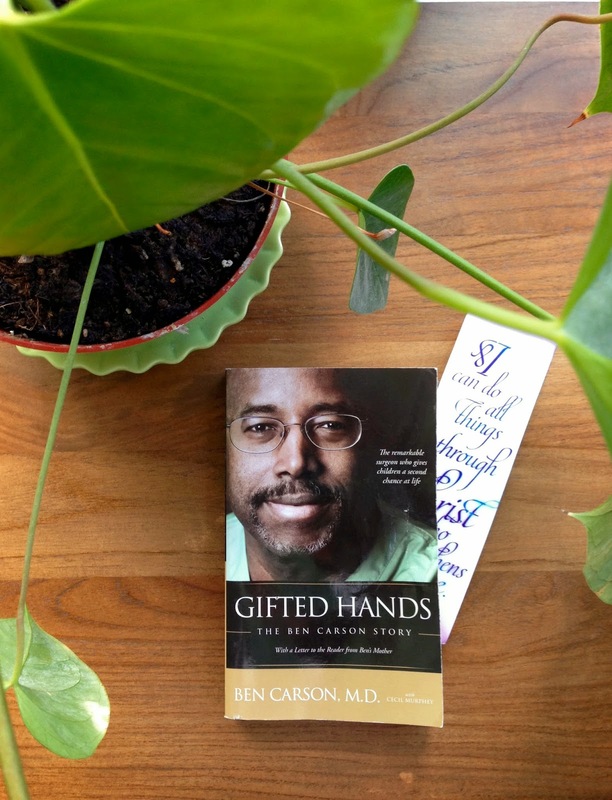 While my hands were busy wrapping bánh nậm with the banana leaf, this experience somehow triggered my mind to recall Gifted Hands, a book written by the famed neurosurgeon Ben Carson. Dr. Carson says, “God has given us more than fourteen billion cells and connections in our brain. Why would God give us such a complex organ system unless he expects us to use it?” Isn't it amazing how we human beings can skillfully come up with thousands of recipes using the same ingredients? I suppose when it comes to food, all of my culinary neurons are fired up and connected. Most of the time I take things for granted but in very rare moments of deep meditation, I ponder on our own human ingenuity. Consider the rice grain. It was a wild plant. We domesticated it, cultivated it, harvested it and multiplied its purpose. 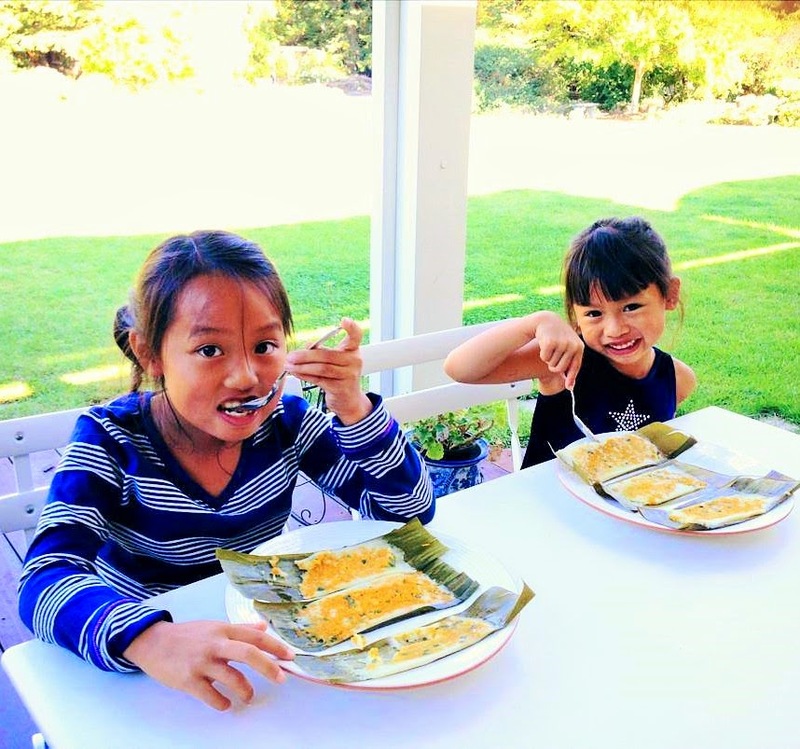 We transformed the grains into a variety of foods that people eat every day all over the world - bánh nậm being an example. 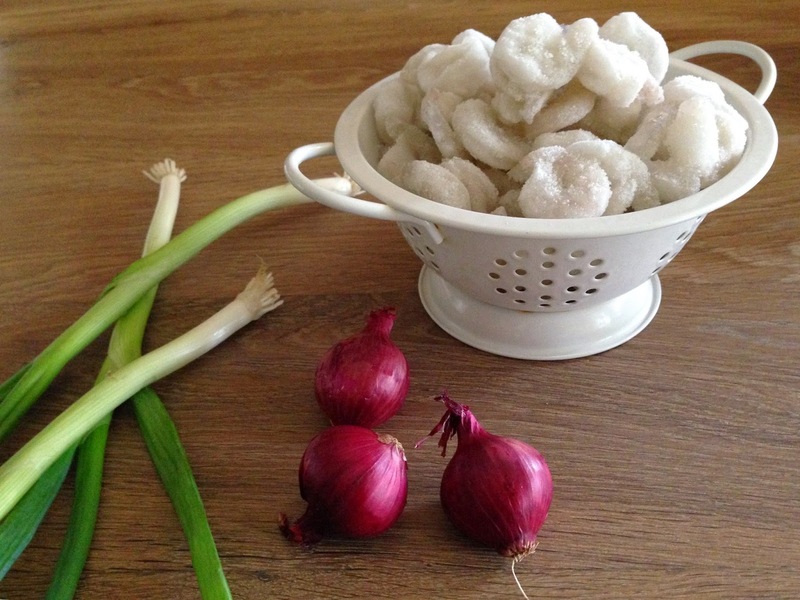 It takes a few processes to change rice into the small and delicate savory dumplings which was originally created to please the appetites of emperors in the imperial city of Hue in Vietnam. 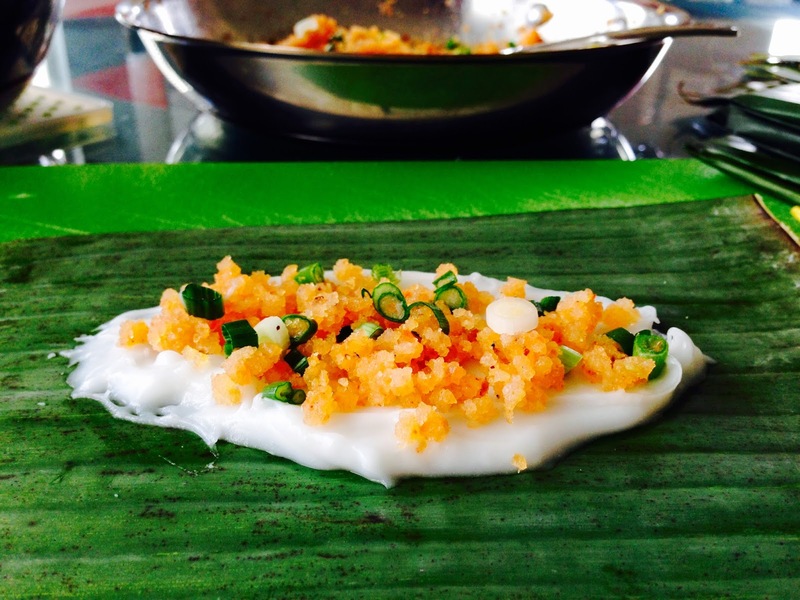 The grains are grinded until fine then mixed with water and cook until thickened to a glue consistency. 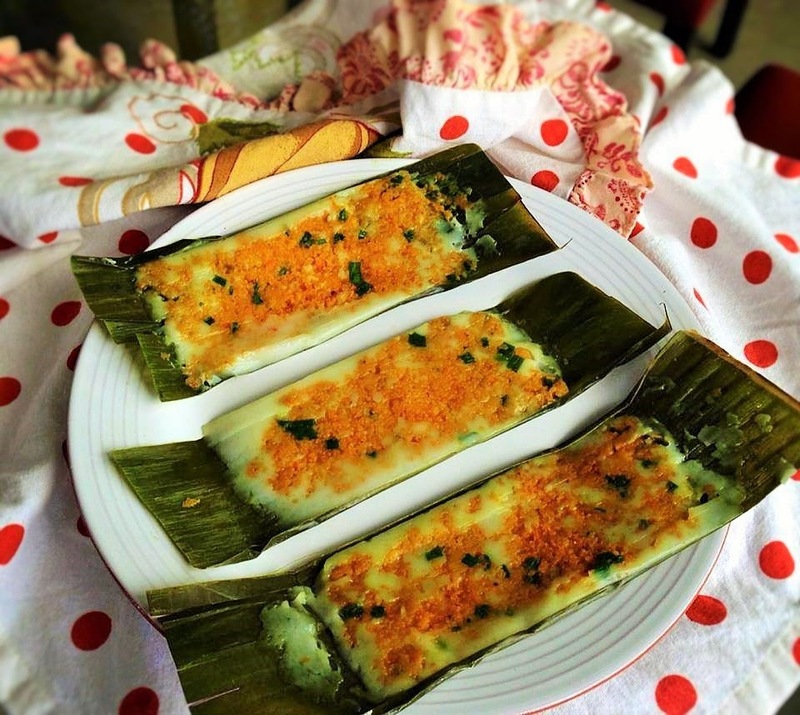 The batter is then spread on the banana leaf with ground shrimp, or the combination of both shrimp and pork, and scallions; then these are pressed into the batter after it’s wrapped in banana leaves, steamed and served. 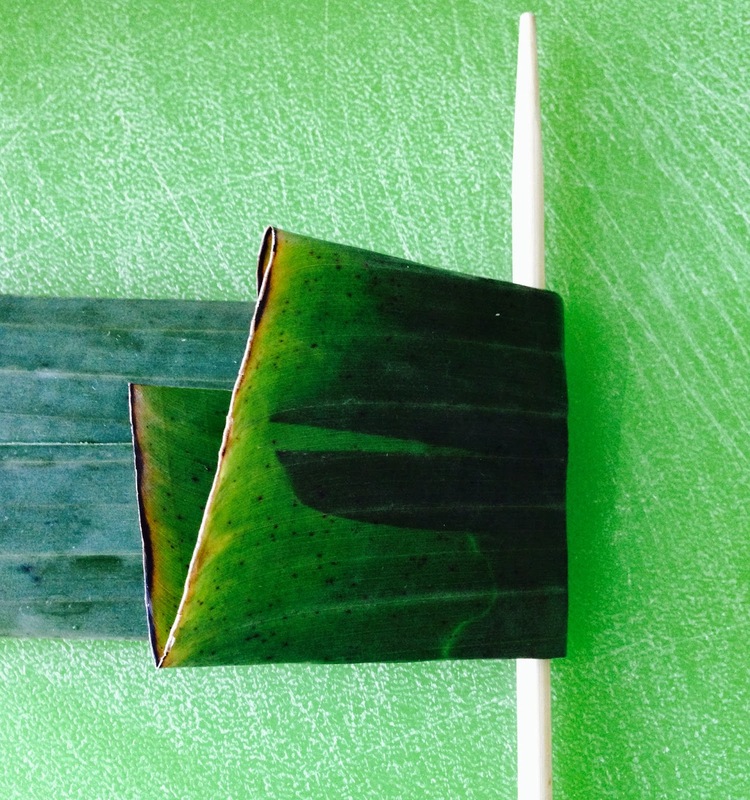 Thaw banana leaves under sink water. Cut the leaf into about 6 in x 10 in pieces. Use a kitchen towel to pat dry the leaves. You can prepare the leaves ahead of time then keep them in a bag and store in the fridge until ready to use. 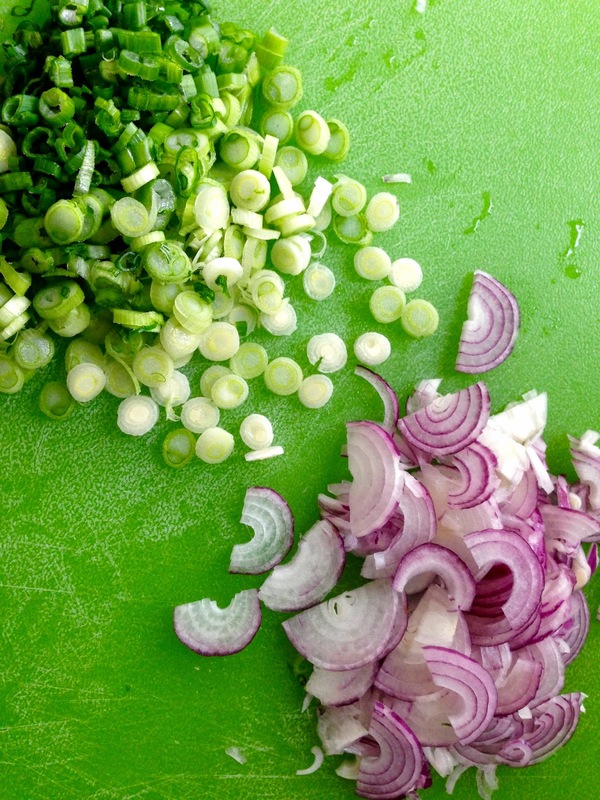 Chop green onion and slice shallots thinly. Set aside. 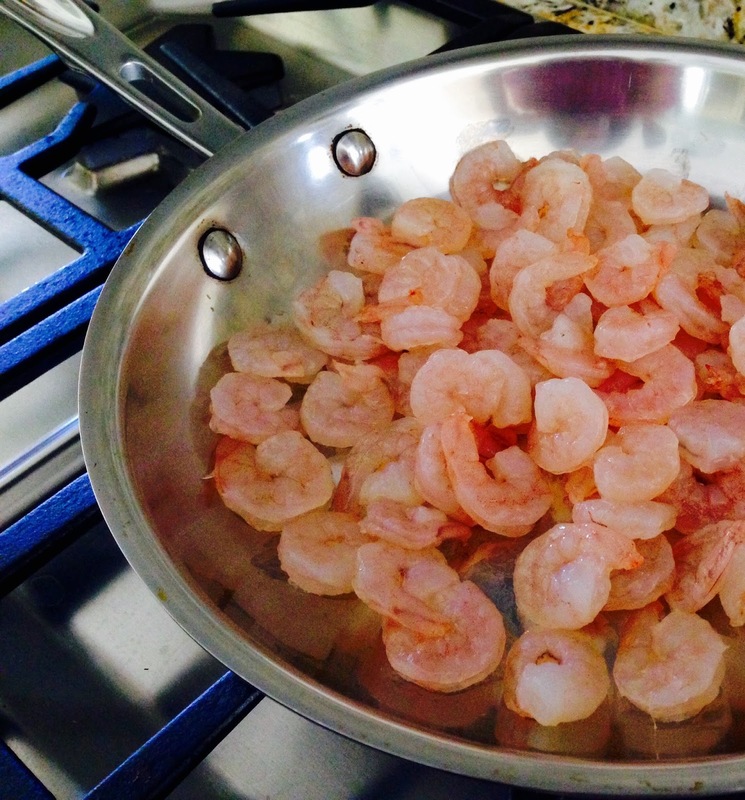 In a skillet, cook shrimp at medium high heat until shrimps turned pink and cooked. 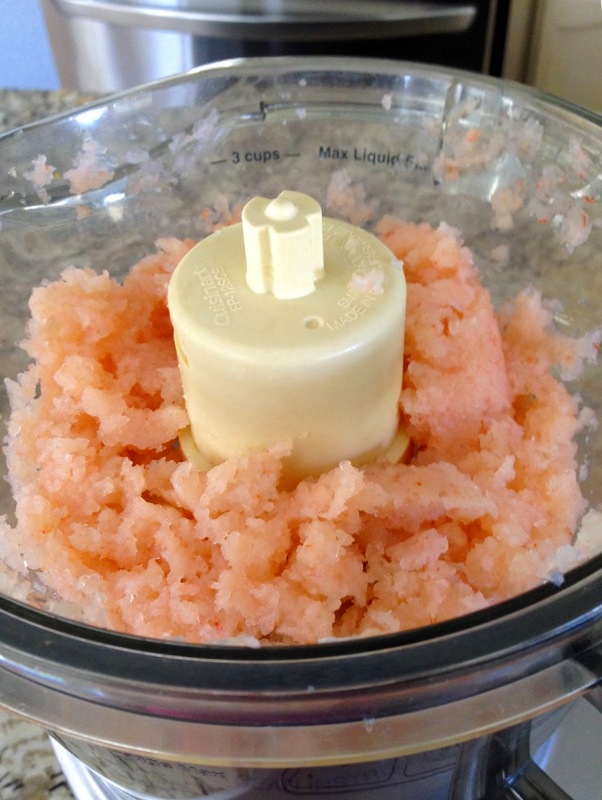 Transfer shrimps into a food processor and process it until shrimps ground up into small bits. 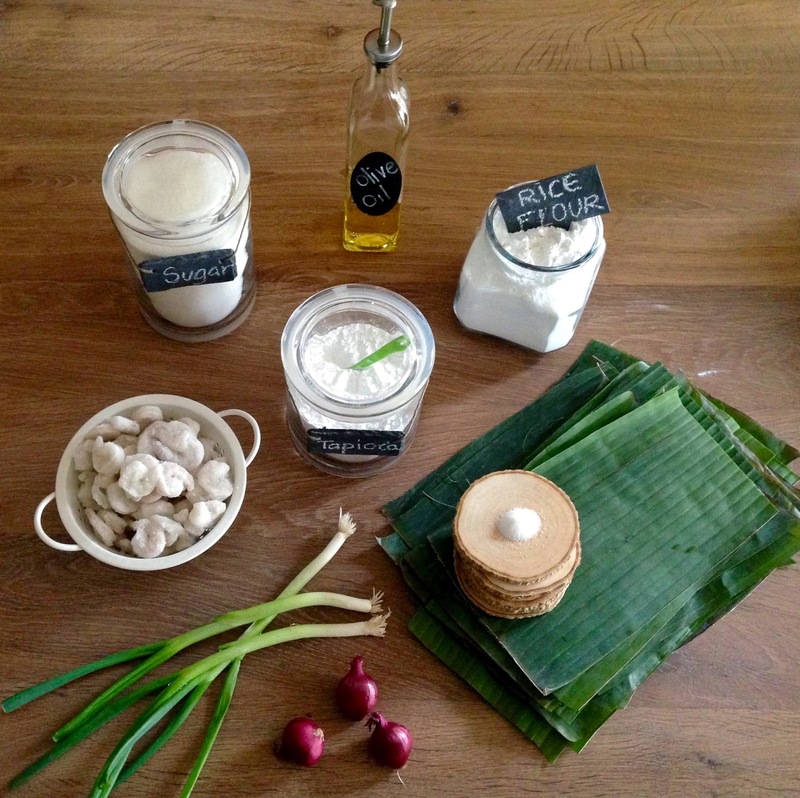 Mortar and pestle can work in place of a food processor. In the same skillet, saute annatto oil and shallot until fragrant. 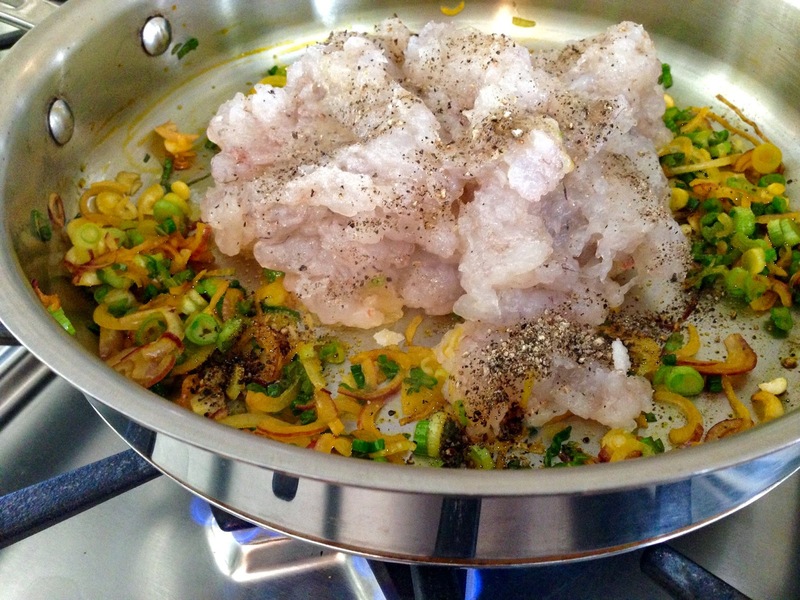 Add shrimps, salt, sugar, and pepper. I eyeballed the seasonings so the measurements aren't precise. Adjust the seasonings to your taste. Use the spatula to smash the shrimps further until they are dry. Turn off the heat. 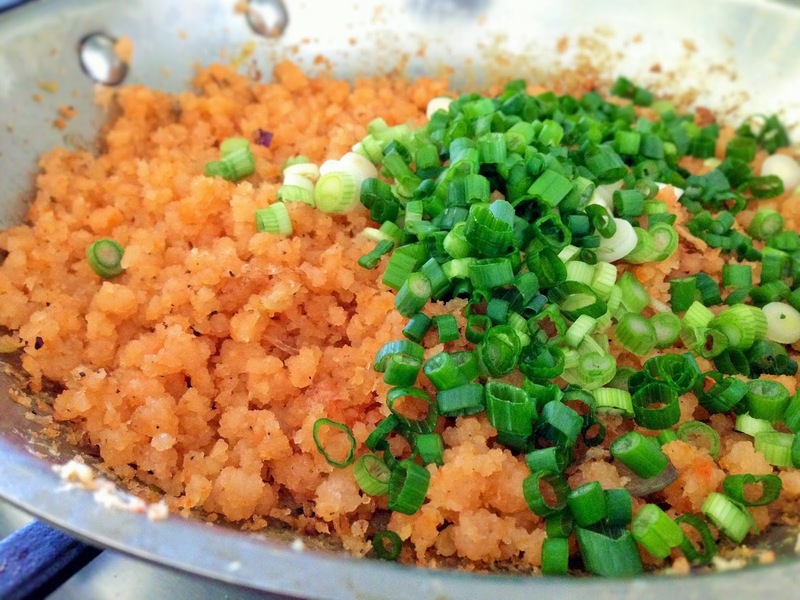 Add green onion and mix well. In a pot, combine all the ingredients for batter and blend well to scrape up all the flour off the bottom of the pot. Cook over medium low heat. 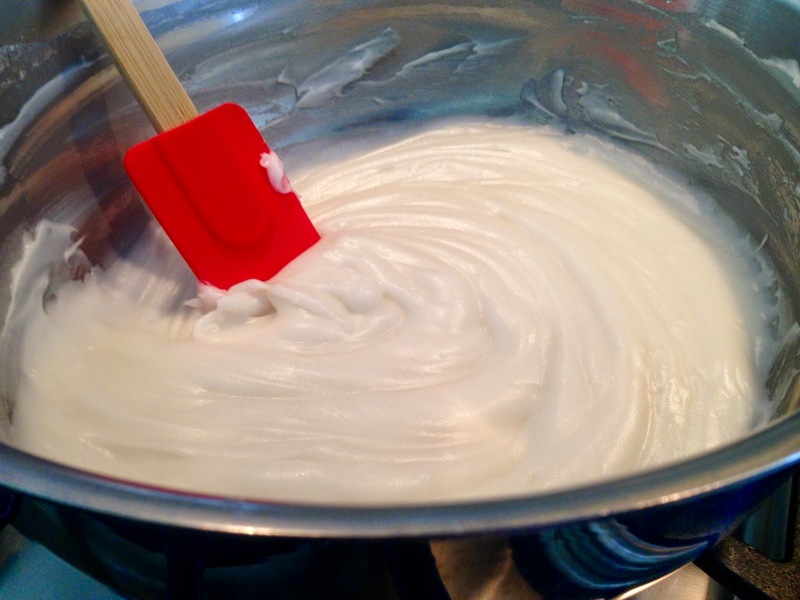 Constantly stir it until the mixture starts to thicken up into a paste. Keep stirring it for a couple more minutes. Remove from heat. 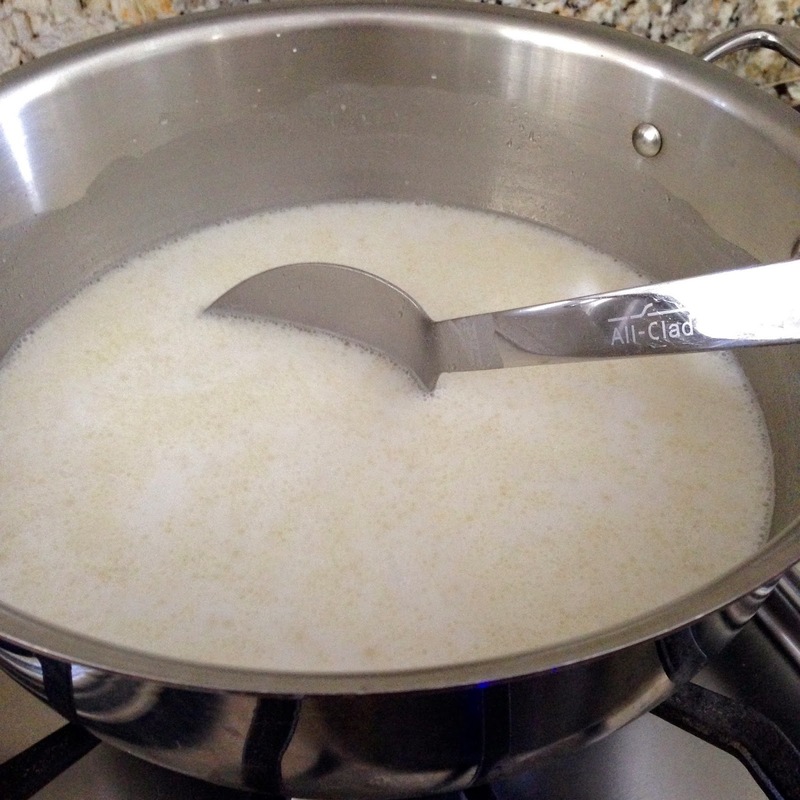 Continue stirring constantly until you get a smooth mixture. Spread about 2 tablespoons of the batter in the center of the leave. Fold both sides and ends up. 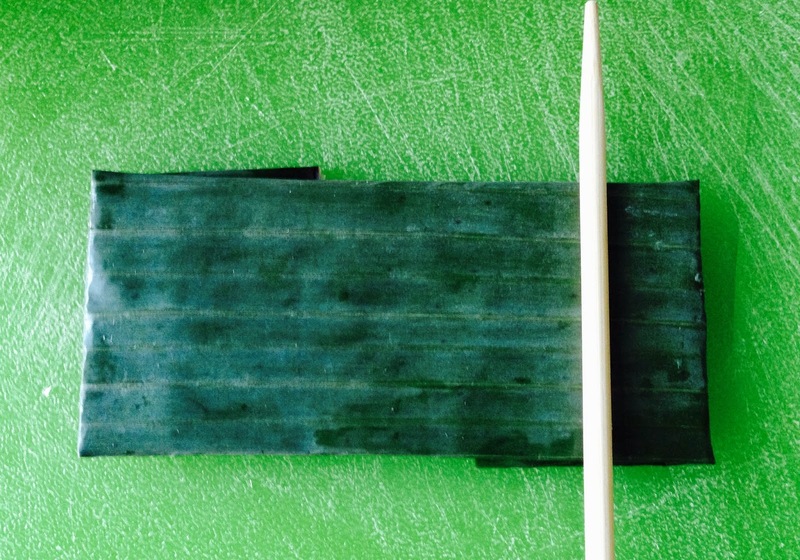 I find it easier to fold both ends using a chopstick to guide it. 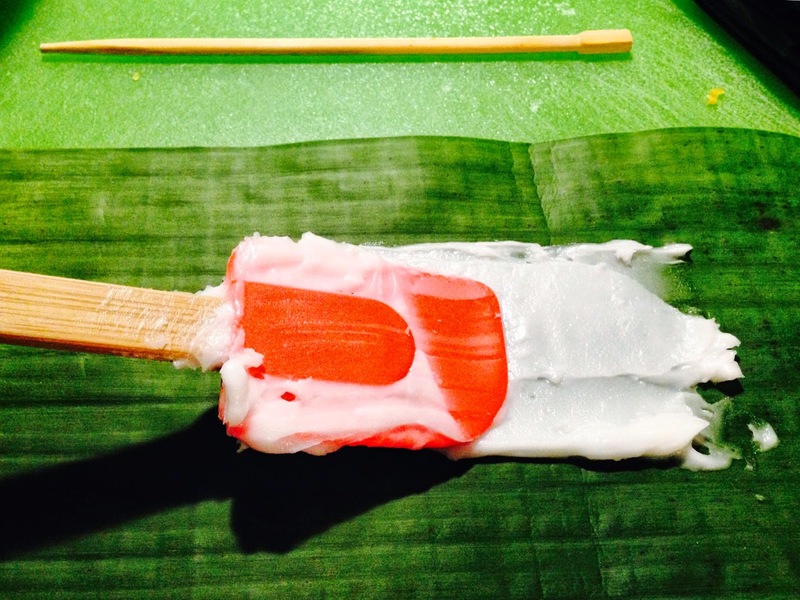 Use the chopstick to lightly even out the batter by going cross from left to right. Bring a pot of water in a steamer to a boil. Place bánh nậm that you have already arranged standing up in a steamer tray onto the steamer and steam for about 30 minutes. 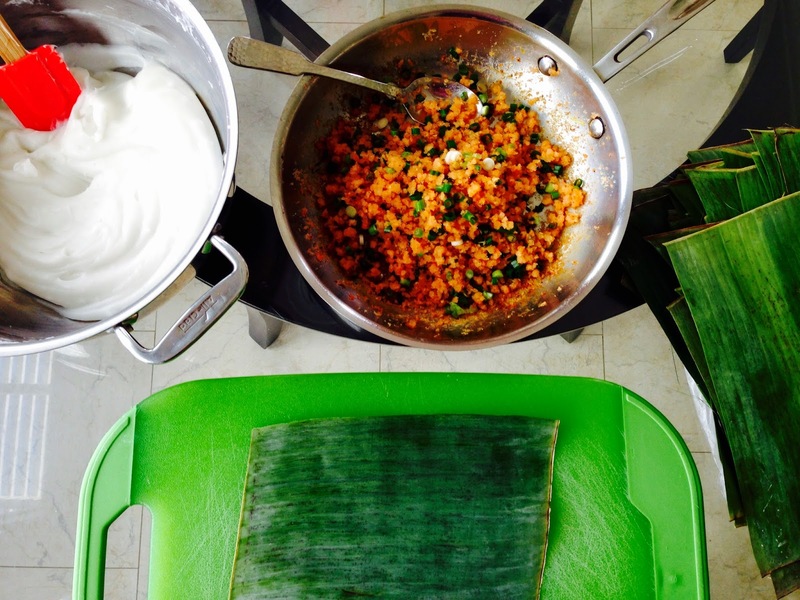 When the banana leaves change color to a pale yellow evenly, the cakes are done. 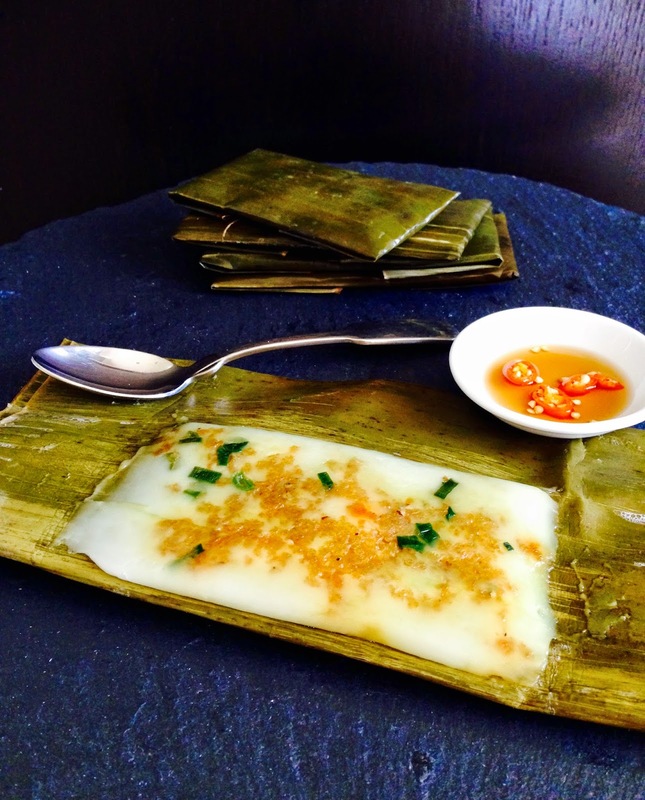 Allow bánh nậm to cool before serving. 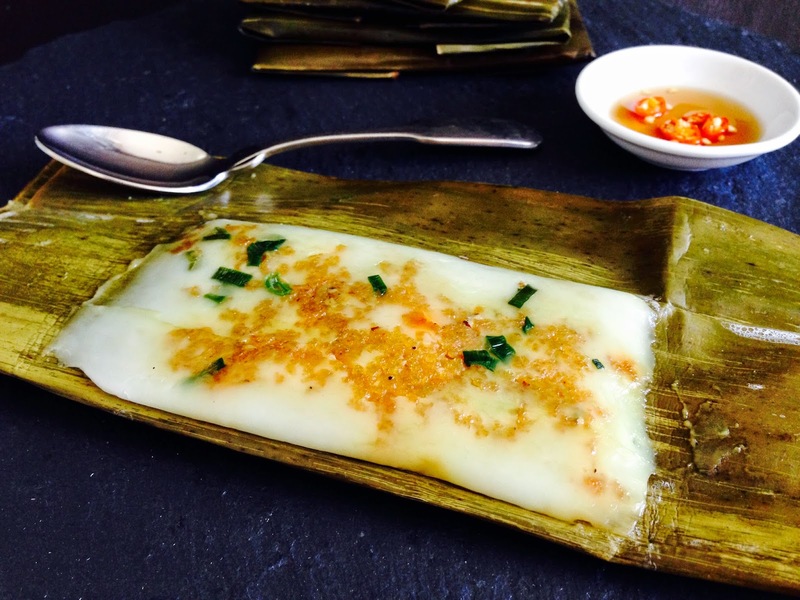 Bánh nậm can be served by itself or enjoyed by drizzling a dash of good fish sauce mixed in fresh chili pepper slices over the dumpling. Here's to those 14 billions of cells. 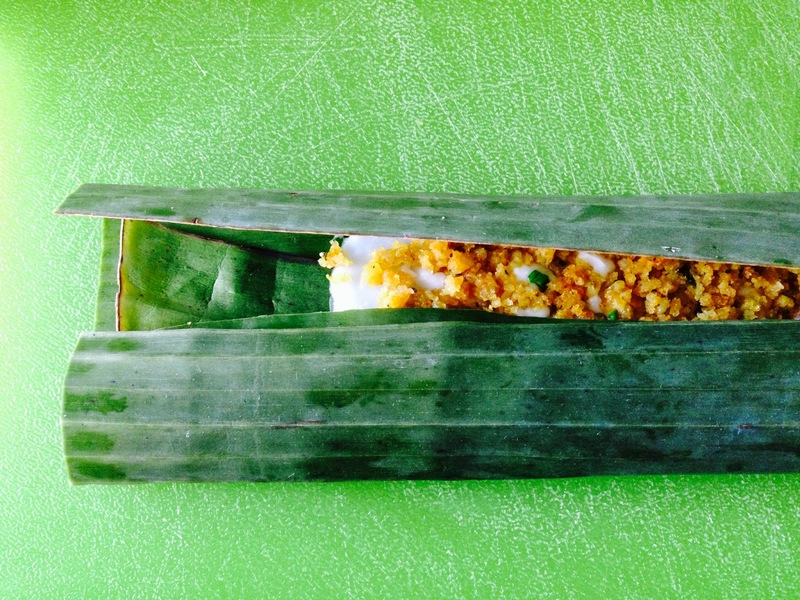 Do we need to soften the banana leaves in warm water before use? I can't wait to try this recipe. Thank you for sharing! 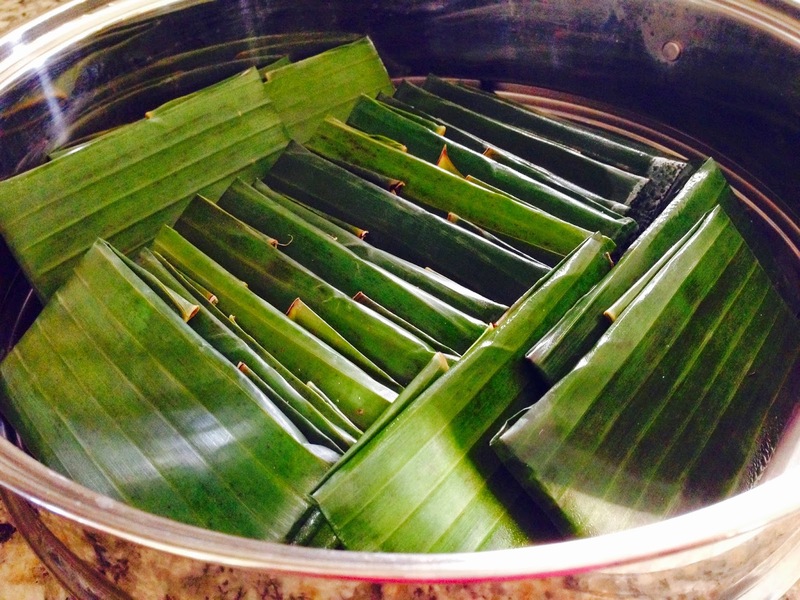 Since these banana leaves are frozen, Rinsing them under warm water at the sink will soften them. Make sure to keep them in the freeze if you don't use them in a couple hours to keep them from being dried. Can these be make ahead? freeze then steam or steam then freeze for later ? Yes, they can be made ahead and keep them raw in the freezer for a few months. You don't need to thaw them when steaming. If we freeze them raw, how long should we steam them? 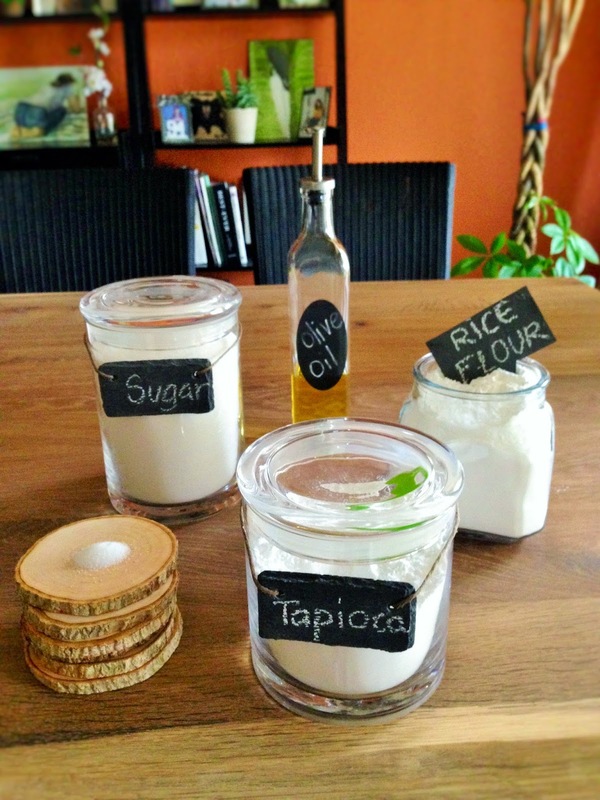 Thank you for sharing the recipe with us. Steam for about 40 mins or until the leaves color change to a pale yellow evenly.